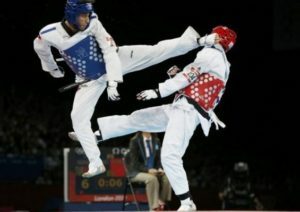 A Tunisian court has ruled against the participation of four Israeli athletes in an ongoing international competition after a group opposed to normalization of ties between the two countries sued the head of Tunisian taekwondo federation. The National Commission for Supporting Arab Resistance and Opposing Normalization and Zionism had opposed the participation of the four Israeli athletes in the world junior championships taking place in the seaside resort of Hammamet from April 6-13, according to the Associated Press (AP). The group of activists reportedly lodged a lawsuit against Ahmed Gaaloul, the head of the Tunisian federation. The Prosecutor’s office told AP that the court’s ruling prevents Gaaloul from inviting or hosting the four Israeli athletes, featured among contestants. Gaaloul noted that his federation will not extend invitation to the Israeli athletes because they did not complete the paperwork to enter the tournament. Tunisia like several other Arab countries has not established diplomatic ties with Israel but the parliament and President Caid Essebsi as well as Islamist party Ennahada are backing a change in relations with Israel. Written by: KanelkaTagba on April 9, 2018. Posted by KanelkaTagba on Apr 9 2018. Filed under Headlines, World News. You can follow any responses to this entry through the RSS 2.0. Both comments and pings are currently closed.